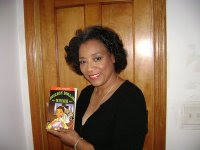 Arlene Jones - Featured Columnist Austin Weekly News: How Much Did This Cost The City of Chicago? It was about a year ago a woman in the south suburbs left her daughter in the car to walk her other children to make a donation at the Salvation Army kettle. She was charged with child endangerment and arrested. Yesterday we had the story of the little boy left in the van while the parents picked up newspapers. Unable to speak English, I wonder if they had a license to drive and if they are in this country legally. Never the less, the car was stolen with the young baby inside. All day I saw the messages over the TV. Thankfully the baby was found safe, but those parents should be arrested and charged with child endangerment.